Welcome to Day #6 of Chocolate and Flower Theme Week, and Day #1 of Chocolate and Orange Theme Week. 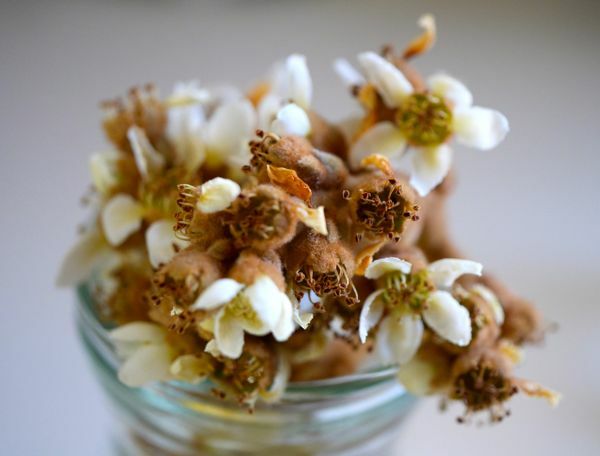 Today I'm featuring a bar that included flowers and fruit in bloom this month (winter) in California—orange citrus fruits, a few hardy roses, and a sprinkle of loquat blossom petals. 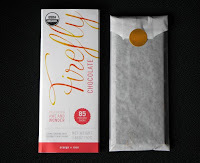 Today's Orange + Rose dark chocolate bar was from Firefly Chocolate in Sonoma County (Windsor, CA). This 85 percent cacao, organic dark chocolate bar was made with stone ground cacao beans, coconut palm sugar and cocoa butter. And it was flavored with rose powder and orange peel powder. 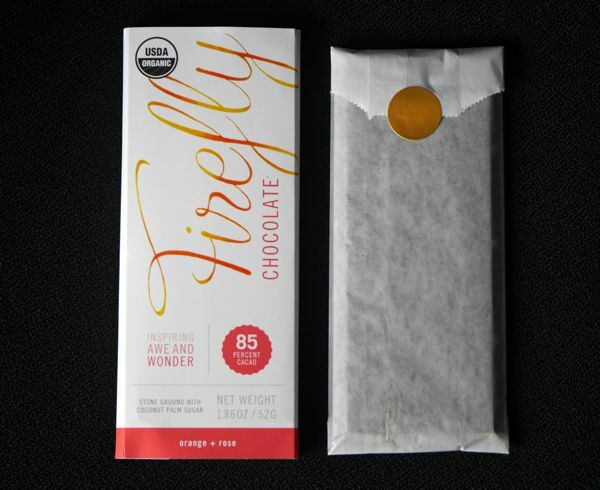 This bar was perfect for those who want to experience some lovely flavor elements without much sugar. 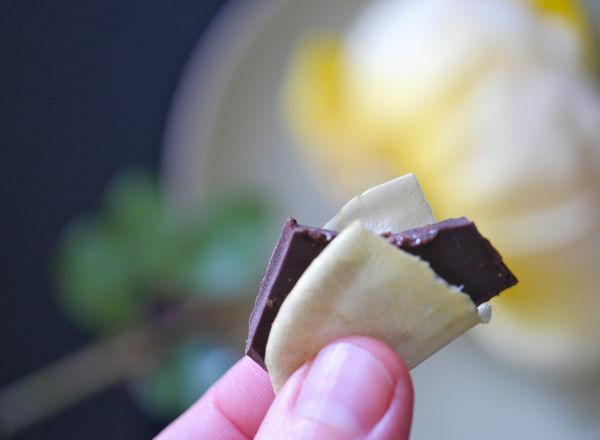 And if you'd like to turbo-boost the rose flavor, you can always make a rose petal wrap* (or rose "taco") by folding rose petals around small bites of a floral chocolate. The rose family is large. It includes the lush, romantic rose flower, as well as apples, pears...and loquats. Conveniently, loquats bloom in January in California, so I picked some loquat blossoms (thanks to my neighbor Margaret! ), and sampled these edible flowers, with the intent of doing some chocolate and flower match-making. On a related note, I made a low-alcohol Rose5 cocktail. This drink was made with 3/4 oz. of vodka that had been mixed with 1.5 oz. 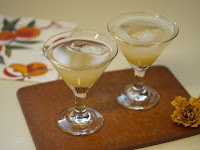 of simple syrup of rose petals and loquat flowers; a drop of chocolate bitters, 3 drops of almond liqueur, and a splash of soda water if you'd like. Garnish with ice cubes filled with petals if you want to guild the lilly. Adjust portions to your liking. *Make sure to use fresh unsprayed or, preferably, organic roses petals. 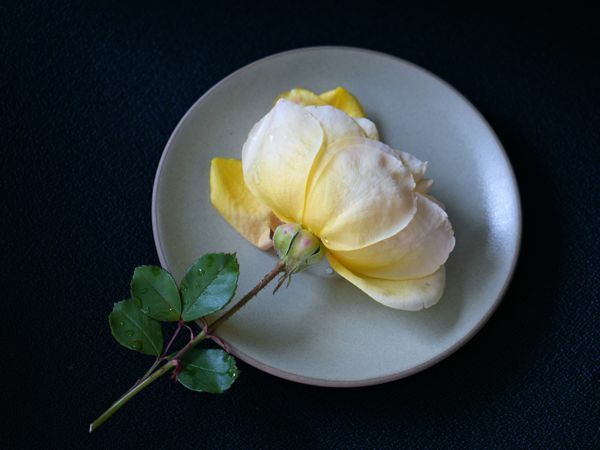 You'll find some roses have more perfume oomph than others; but they're all fun to try—either by infusing petals into a heated simple syrup (1/2 organic sugar + 1/2 water) and letting them sit for an hour or two to cool. Or, if you wish, you can muddle them into some vodka or gin and let them sit/infuse for awhile before straining the petals out.